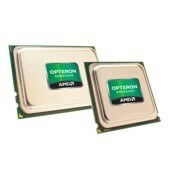 AMD Opteron processor gives companies a whole new way of doing business. The processor is based on AMD64 technology - an innovative technology that allows IT professionals to run 32- and 64-bit applications simultaneously. This means that organizations can grow into 64-bit computing without sacrificing their existing IT investments.